The classic hefeweizen, Detroit-style pizzas and a brewery that does not make IPAs all rule here. 825 N Cook St., 503-265-8002, eclipticbrewing.com, 11 am-10 pm Monday-Thursday, 11 am-11 pm Friday-Saturday, 11 am-9 pm Sunday. 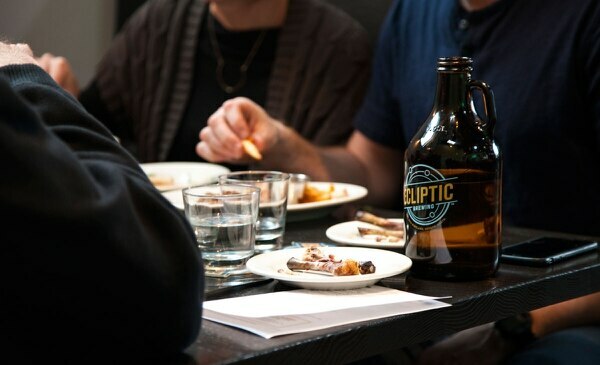 Eat this: At Ecliptic, the food is nearly as ambitious as the beer, with a menu that includes cassoulet ($20), steamed mussels ($16) and shakhouska ($14). 832 N Beech St., 971-703-4516, stormbreakerbrewing.com, 11 am-10 pm Sunday-Monday, 11 am-11 pm Tuesday-Thursday, 11 am-midnight Friday-Saturday; 8409 N Lombard St., 971-255-1481, 11 am-10 pm Sunday-Thursday, 11 am-11 pm Friday-Saturday. 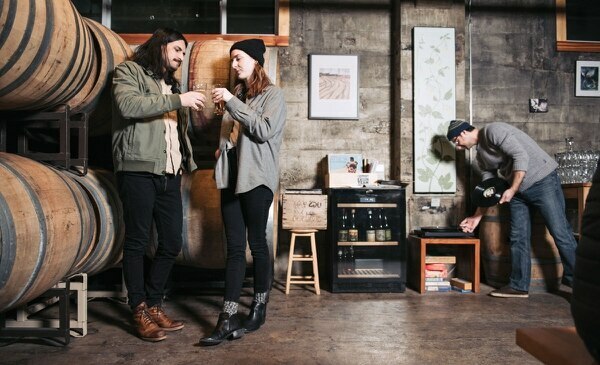 Some breweries aim to impress pretentious drinkers with a vast array of esoteric beers, while others do quite well serving a combination of straightforward styles in a familiar, no-frills space. StormBreaker successfully built off of what Amnesia Brewing left behind when it vacated the corner lot with a splendid patio on North Mississippi Avenue before closing entirely a few years ago. The now-5-year-old brewery has expanded to the former Plew's Brews location in St. Johns. This time around, the owners have created a woodsy lodge lined with flat-screens for Blazers games and cozy booths, where you can enjoy their clutch of extremely crushable IPAs, stouts and ales. StormBreaker isn't reinventing the wheel with such classics as the Cloud Ripper IPA or the Opacus Oatmeal Stout, but you're certain to find a refreshing take on a few beer trends that err on the side of smooth drinkability, like the light and juicy Haze du Jour or the Fall of the Iron Curtain Baltic Porter. Either pairs quite well with some casual ax-throwing in the former dentist office that StormBreaker annexed in the process of the buildout. PETE COTTELL. Eat this: Both locations offer one of the areas most honest re-creations of the Juicy Lucy ($13), a cheeseburger with fontina stuffed into the patty just the way your roommate from Minnesota told you it's done back in the heartland. 3901 N Williams Ave., 503-288-3996, lompocbrewing.com, 11 am-11 pm Monday-Thursday, 11 am-midnight Friday, 10 am-midnight Saturday, 10 am-11 pm Sunday; 3901A N Williams Ave., 4-11 pm Tuesday-Thursday, 4 pm-midnight Friday-Saturday; 1621 SE Bybee Blvd., 503-232-1728, 11 am-midnight Monday-Saturday, 11 am-10 pm Sunday. 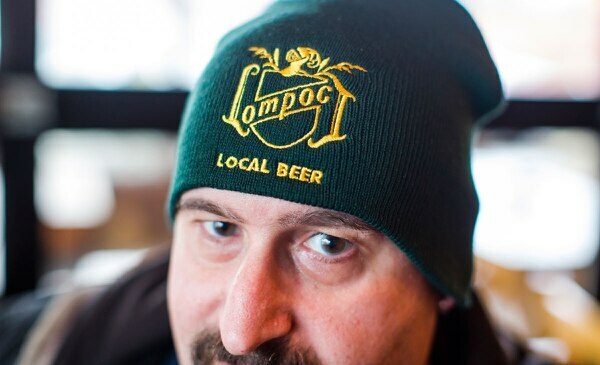 In September 2018, Lompoc, a stalwart of the Portland beer scene, said goodbye to its original (though completely rebuilt) pub on Northwest 23rd Avenue. Though that might have come as a blow to the brand, Lompoc redeemed itself just weeks later with a huge win at the Great American Beer Festival: a gold medal in the Robust Porter category for Lomporter. And the beermakers are still turning out other deliciously unique and satisfying ales at locations in Northeast and Southeast neighborhoods. Year-round staples, such as the Proletariat Red and C-Note IPA, are the product of more than two decades of recipe perfecting. The complexities in both are impressive. Notes of caramel, cinnamon, baked pear and toasted chestnuts make the Proletariat Red an incomparably cozy pint, probably best sipped in front of a roaring ski lodge fireplace. And the C-Note, so named for its 100 IBUs, is a grizzly of a beer with smoky, herbaceous pine flavors. 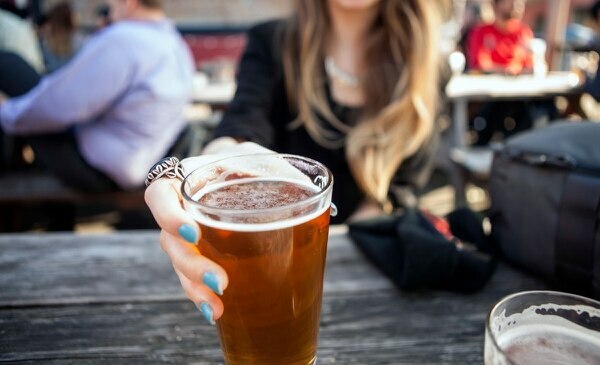 Plus, on Mondays at the Oaks Bottom bar and Tuesdays at Sidebar and 5th Quadrant, Lompoc serves $3.50 pints all day. ELISE HERRON. Eat this: One unexpected standout on the 5th Quadrant menu is the lamb burger ($14). It's served on a toasted onion bun and stuffed with goat cheese, arugula and smoky sun-dried tomato jam. 2326 N Flint Ave., 503-894-8251, exnovobrew.com, 3-10 pm Monday-Thursday, 3-11 pm Friday, 11 am-11 pm Saturday, 11 am-10 pm Sunday. At Ex Novo, it almost feels as if you're drinking in the middle of the brewhouse. Other than maybe at Upright, the bar seats are about as close as you can get to the equipment without bumping into a hose or a hand truck. When you walk in, you can almost feel the steam on your skin from the mashing in that happened earlier that day, and the place still smells like warm malt. Ex Novo's beginnings as a nonprofit and the intimate pub setting perhaps belie the fact that it's making some big moves by opening a taproom in a very parched Beaverton and building a production facility in founder Joel Gregory's hometown of Corrales, N.M. All of that growth probably won't overshadow the original pub, which can pack 'em in until it's standing room only—especially when the Blazers or a big act are playing at the Rose Garden. Pregame here, where the beers aren't 10 bucks a pop and there are a handful of low-ABV options to keep you nicely buzzed but awake for the action that awaits, like the Mexican lager, which is as crisp as a Carr's Table Water Cracker, or the well-made kettle sour called Puff Puff Passion, which has a gush of passionfruit like a tropical vacation. When the show's over, come back for the expertly balanced and dry-hopped Eliot IPA. If you're looking for something bigger, a porter milkshake goes down easily, but when it's on, swap in the 12-plus percent ABV barrel-aged imperial stout. ANDI PREWITT. Eat this: Ex Novo has the third-best Detroit-style pizza in town. Motor City ($14) is a hefty square of warm brick cheese studded with sliced meatballs and Mama Lil's peppers. 240 N Broadway, Suite 2, uprightbrewing.com, 4:30-9 pm Thursday-Friday, 1-8 pm Saturday-Sunday. In spite of consistently earning a place in the upper echelons of Portland breweries, there's an almost magical, undiscovered quality about Upright Brewing. 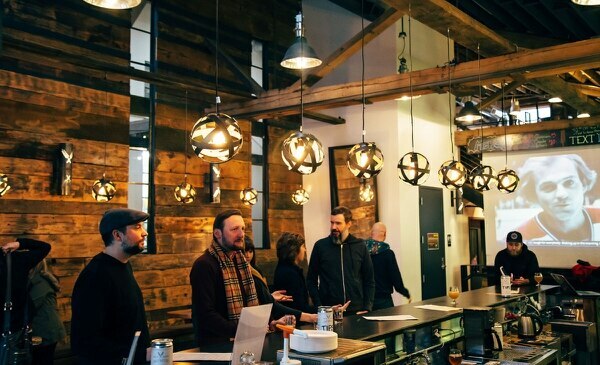 It could be its taproom, which is located deep in the bowels of an office building across the street from Moda Center, but it actually has a lot more to do with brewmaster Alex Ganum's gentle touch and apparent distaste for hyperbole in the beer world. His beers, most of which fall within the realm of French and Belgian farmhouse ales, are deeply nuanced yet delicate in presentation—often brewed in stark opposition to the chewy, piny hop bombs that have long been popular in the Pacific Northwest. With mismatched tables and benches arranged among barrels, foeders and hand trucks, along with a vinyl-only soundtrack of jazz and '70s AM gold, you're not going to find Chad and Brad smashing triple IPAs while flat-screens show the big game at this place. Like the dry, witty friend whose reticence belies his profundity, Upright presents a handful of classics that gently give way to a gradient of beautiful flavors. Case in point is Pathways, an earthy, easy-drinking saison that offers a mix of sweet, sour and spicy notes that bloom slowly on the palate. Even lighter and more modest styles offer Ganum room to flex his chops. Take the Engelberg Pilsener, which contains just enough bitterness to scratch the itch of hop heads. Your best bet is to try the aforementioned beers, both of which earned Beer of the Year nods in our 2018 and 2015 Beer Guides, respectively, along with a fruit ale like the tangy, cherry-laden Four Play. PETE COTTELL. Eat this: The neighborhood surrounding Moda Center is mostly a food desert, but the lobby of the building that houses Upright is also home to the Stingray Cafe (503-894-8964, thestingraycafe.com), a modest lunch counter that specializes in bagel sandwiches ($7-$9) loaded with everything from turkey, tuna salad or a killer house-smoked pastrami. 670 N Russell St., 971-271-8151, labrewatory.com, 11 am-10 pm Monday-Thursday, 11 am-11 pm Friday-Saturday, 11 am-9 pm Sunday. 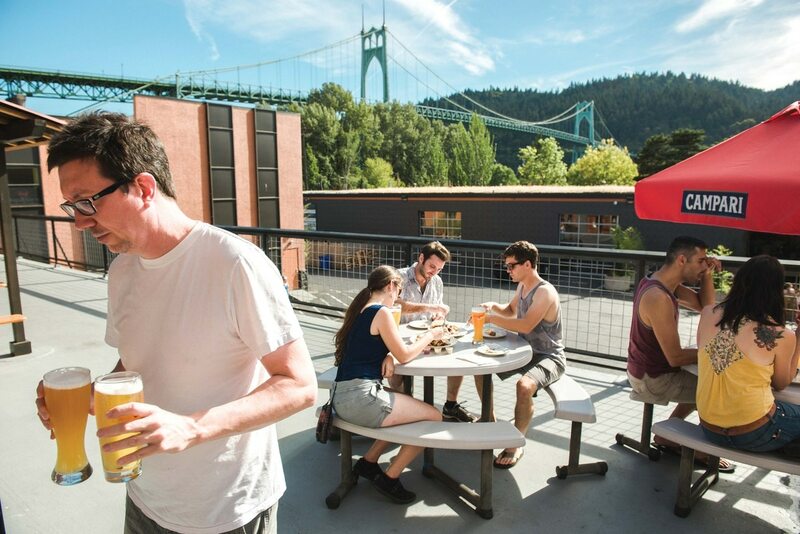 Starting in 2015 as a marketing arm for Portland Kettle Works brewing systems, with batches of oddball beers functioning as drinkable sales tools, Labrewatory has mostly settled into the role of a mellow neighborhood brewery that does a lot of things well—though the constantly rotating tap list and arrival of a new head brewer is enough to keep the place from feeling too relaxed. Nick Herrera, who has a Ph.D. in microbiology and previously worked in San Diego's biotechnology industry, took charge of the brewhouse in December. Given his background, it's only natural he plans to introduce a little more science and consistency to the batches—expect to find a certain number of handles reserved for classic styles. In the meantime, alternate between an IPA, like the dank and sticky Terpenator, as well as the more experimental offerings on the menu's right side, which often includes sours and porters that have been barrel-aged with botanicals and spices like currant, ginger and smoked peaches. You'll also find some impressive collaborations made with popular restaurants around town, like a rice lager that bears the name of high-end Thai supper club Langbaan. Dawn Patrol Coffee recently started operating a cafe in Labrewatory during the first half of the day. 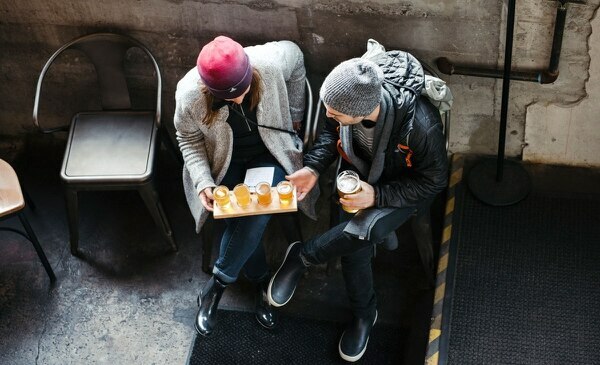 You can't order beer until 11 am, but the partnership makes sense considering the dearth of nearby coffee shops and the taproom's vibe, which feels a lot like the lobby of a tech firm with its high ceilings, subway tiles and polished industrial chic. PETE COTTELL. Eat this: Head next door to Tamale Boy (668 N Russell St., 503-477-6706, tamaleboy.com) for a plate of molotes ($10), which consist of queso, adobo sauce and epazote herb. 929 N Russell St., 503-281-4000, widmerbrothers.com. Public tours started Feb. 16 at 1 pm on weekdays, 1 and 3 pm on weekends. It's impossible to call yourself an Oregon beer lover without immediately pulling down a tall glass of cloudy Widmer Hefe nearly as soon it's set in front of you. Unfortunately, you can't do it at the brewery's pub anymore—it closed in early 2019 following two decades of pours. Still, if you keep your eyes peeled, you should be able to find the offspring of the brewery's vibrant small-batch experimental program at beer bars around town. Those beers—and perhaps especially the lagers—are some of the best you'll find anywhere, though we do hope to see them all under the same roof again, someday. PARKER HALL. Eat this: If you're feeling hungry (or thirsty) while driving past the production brewery in North Portland, we recommend you stop in for a pint and a burger at the White Eagle Saloon (836 N Russell St., 503-282-6810, mcmenamins.com/white-eagle-saloon-hotel). This classic brick McMenamins pub is one of the friendliest and prettiest in town, and the tots ($5.50-$9.50) are fried to perfection. 6635 N Baltimore Ave., Suite 102, 503-719-7102, occidentalbrewing.com, 4-9 pm Wednesday-Thursday, 3-9 pm Friday, 2-9 pm Saturday, noon-7 pm Sunday. If you're on a mission for a strawberry dry-hopped milkshake IPA, look elsewhere. But if you like clean, refreshing and perfectly executed traditional German beers in a no-frills, industrial-style tasting room, welcome to your new favorite brewery. While other beer makers in town are trying to keep up with the latest and greatest in kettle-soured fruit bombs and heavy-hopped IPAs, Occidental is still making beer that tastes and looks like, well, beer. 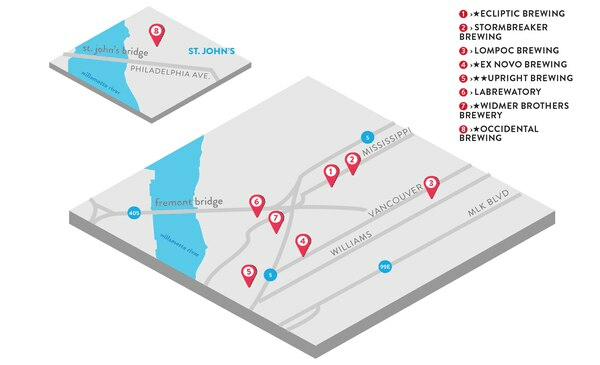 By focusing on its flagships, a few seasonal rotators and a tiny barrel program, the St. Johns brewery has managed to separate itself from the masses. The fragrant hefeweizen, with heavy notes of banana and clove, and the crisp Kölsch are perfect for day drinking on the sunny patio in summer. But the brewery's real gem is the winter seasonal. Lucubrator is a perfectly balanced, malty doppelbock boasting just the right amount of rich caramel sweetness. It even managed to snag a gold medal at the 2016 World Beer Cup. SHANNON ARMOUR. Eat this: Occidental sold its neighboring restaurant, Wursthaus (503-286-3686, urbangerman.com), to the folks who had been running the kitchen. 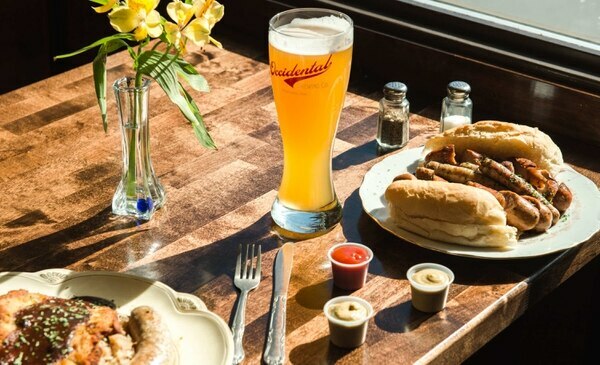 Urban German Grill took over in January, but the year-round Oktoberfest hasn't stopped. You can still get authentic German sausages ($6-$8) and Bavarian pretzels ($6) right across the parking lot from the taproom.